You can’t build a house in midair. You need a solid foundation to build on. Something real, that has weight and substance. The same goes with your faith. While you may dream about doing the unthinkable, achieving the unachievable, you must be realistic. Your dream of being a billionaire business owner will never become real if you don’t do something realistic now like get incorporated, get a business plan, and actually take the steps needed to arrive at your desired destination. If you don’t take an honest look at your dream and figure out what it will take to accomplish it, you will never achieve it. Success is not a miracle. It is a series of realistic choices that blossomed into the achieved reality of your goals and dreams. The Jesus Mind does not downplay realistic thinking. The word truth in this powerful Jesus statement is synonymous with the word reality. In essence He was stating, “I am the way, the REALITY and the life.” Jesus offered a new reality to the human race. He was God in flesh, a reality we all can become once we have a born-again experience by inviting the Holy Spirit of God into our lives. With The Jesus Mind you have access to two realities…this world’s reality and the world to come. When I began to engage in the idea of having access to another reality anchored in Heaven, I began to experiment. Now I know that for example in Earth, I get sick. But in the world to come-Heaven, no one gets sick. So I began to intentionally reject sicknesses from my body. I suffered with migraine headaches in my teenage years. I oftentimes couldn’t run in the sun or I would receive these pounding headaches so bad that I couldn’t function or see clearly out my eye for hours. I would have to lay in bed, pop some aspirins and sleep the pain away. When God revealed to me that by having The Jesus Mind, I had permission to access healing for my body, I began to release words of healing over my head and command migraines to leave. The result? Currently, no more migraines. And when I even feel a slight symptom, I remind my head of it’s new, pain-free reality in Christ and it leaves. That’s my reality. And it can be yours by renewing your mind with what Heaven is saying about you now that you are in Christ. Now the extreme comes in to play when people reject medicine and doctors all together because they have faith. Thank God for medicine. I don’t know what I would have done if I had those splitting headaches and had no aspirins to take. But don’t throw it all out the window as an “act of faith” just yet. You see reality as John Maxwell defines it is “the difference between what we wish for and what is.” While you may have access to a new reality of healing, you must understand where you are in your faith journey. Me being realistic was taking the aspirins during my headaches. But when the possibility of God’s healing power in Christ became real to me as He revealed it to me, I then had the desire to no longer make taking an aspirin my first choice but prayer. God, who ONLY responds to faith then began to release Heaven’s reality into my situation! When you receive a divine revelation-when God speaks to you, faith is born in your heart and you have the desire to do something you’ve never thought about doing before. You respond to that faith-sparked desire, and miracles happen! Cultivating your ability to think realistic does not undermine faith. Hope is not a strategy. Don’t spiritualize your uncertainty on what you think God may or may not do for you. If you don’t believe, then you don’t believe. That’s fine. 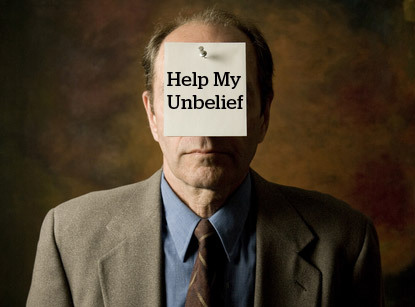 A father seeking help for his sick son once told Jesus “Help my unbelief.” (Mark 9:24) He was realistic. He didn’t fake feeling he believed but really didn’t. He went to God in truth and as a result, God helped him and healed his son. Until a new reality is birthed in your heart by faith, measured by a new certainty that God is able to do a new thing for you, remain grounded and realistic or you will disappoint yourself. Disappointment is the difference between expectation and reality. Until then live with the awareness of knowing that there remain hope beyond your eyes. Look for it, and you will find it. Bless you my good lad. Appreciate your words dearly!